Weddings – Intimate to Extravagant! Thank you for coming to our website and considering our services. We have been blessed to be part of so many wedding memories. It is our passion to make sure your vision is brought to life. We know you have dreamt of this day for a very long time. Our staff truly goes ‘above and beyond’ to ensure you, your family and all of your guests have a memorable time. 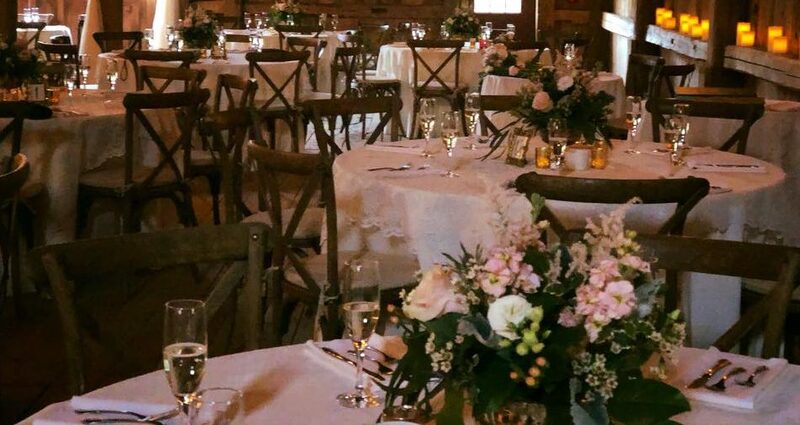 Our weddings can take place on site at our venue, The Town Club or at other locations such as beaches, lakesides, private homes, farm / barns, yacht clubs, golf clubs and many more. We adapt to all locations. We have even catered a very formal wedding deep in the Lyman woods with no electricity. We have a liquor license that allows us to travel with our bar. It could be a service of beer, wine and a specialty drink or a full bar. We offer a specialty drink that is created together with our bartender and groom. Our bar may be operated as a cash bar, open or partially open bar. We are here to assist you with making beautiful memories of your special day. We can assist you with all aspects of your wedding day from catering, rentals, design, cakes, catering, Dj, photographers, flowers and more. We have an amazing team ready to bring your vision and dreams to life. Above & Beyond Catering can also assist with your bridal shower and rehearsal dinner plans! Let us help to make your day a very special one!